Early-Stage Venture Capitalist, Co-Founder of DFJ and Future Ventures; Early VC investor in SpaceX, Tesla, Synthetic Genomics, Hotmail and D-Wave. 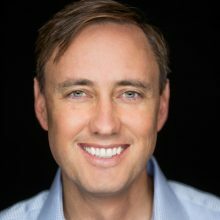 Steve Jurvetson is an early-stage venture capitalist with a focus on founder-led, mission-driven companies at the cutting edge of disruptive technology and new industry formation. Steve was the founding VC investor in four public companies and several rapidly growing companies like Planet, Memphis Meats, Hotmail, and the deep learning companies Mythic and Nervana. He also led DFJ’s investments in companies that were acquired for $12 billion in aggregate. Early VC investor in SpaceX, Tesla, Planet, Nervana, Memphis Meats, Mythic, Synthetic Genomics, Hotmail and D-Wave. Before co-founding DFJ, Steve was an R&D Engineer at Hewlett-Packard, where seven of his chip designs were fabricated. He also worked in product marketing at Apple and NeXT and management consulting with Bain & Company. He completed his undergraduate Electrical Engineering degree at Stanford in 2.5 years, graduating #1 in his class, and went on to earn a MSEE and MBA from Stanford. In 2017, Steve received the Visionary Award from SV Forum. In 2016, President Barack Obama appointed Steve as a Presidential Ambassador for Global Entrepreneurship. Steve has also been honored as one of “Tech’s Best Venture Investors” by Forbes, and as the “Venture Capitalist of the Year” by Deloitte.